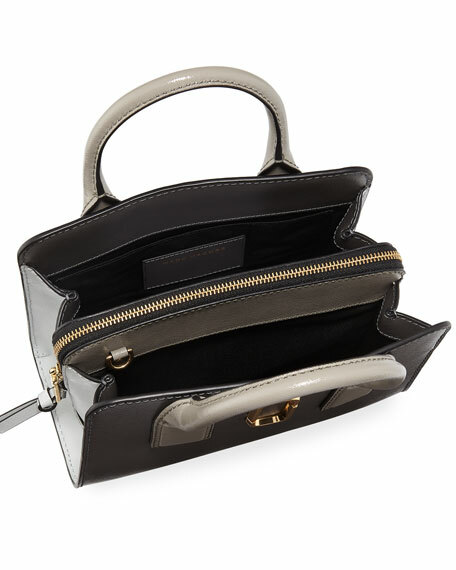 Marc Jacobs colorblock coated saffiano fabric tote bag. Removable, adjustable link grosgrain shoulder strap. Open top; zip-around compartment top divides interior. Exterior, double J detail at center front. 7.5"H x 10"W x 4.7"D.
For in-store inquiries, use sku #2370975.